The overall goal of MIKE is to provide information needed for elephant range States to make appropriate management and enforcement decisions, and to build institutional capacity within the range States for the long-term management of their elephant populations. c)	to determine the factors causing or associated with such changes, and to try and assess in particular to what extent observed trends are a result of any decisions taken by the Conference of the Parties to CITES. 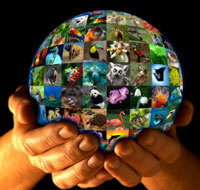 The purpose of CITES is to regulate the international trade in wildlife and wildlife products of endangered species. So far, nevertheless, there has been no means to provide a systematic and detailed assessment of the impact of the Conference of the Parties’ decisions to allow, restrict or suspend trade in a particular species (and/or their parts and derivatives), both generally and in respect of specific countries. At the 10th meeting of the Conference of the Parties to CITES (CoP10, Harare, 1997), the Parties passed an unprecedented resolution that a monitoring system be put in place across the entire range of the African and Asian elephants [Resolution Conf. 10.10]. It was intended that this system would assist the dialogue among Parties and facilitate the decision-making by the Conference of the Parties regarding the protected status of elephants by providing reliable information. Immediately after CoP10, work began on the required monitoring system and the result, now known by its acronym MIKE (Monitoring the Illegal Killing of Elephants), was endorsed at the 41st meeting of the CITES Standing Committee (Geneva, February 1999). Click here to view the proposal on the establishment of the MIKE approved at that meeting. Further consideration of the MIKE programme was provided at the 11th meeting of the Conference of the Parties (CoP11, Gigiri, 2000), which led to the revision of Resolution Conf. 10.10. This revision made direct reference to the implementation of MIKE and broadened the objectives previously agreed to include ‘establishing an information base to support the making of decisions on appropriate management, protection and enforcement needs’ and ‘building capacity in range States’. A further revision was adopted at the 12th meeting of the Conference of the Parties (CoP12), whereby the MIKE system has to be established in such a way that it can continue after (external) financial support has come to an end. Further revisions were adopted at the 14th, 15th and 16th meetings of the Conference of the Parties. d)	Collecting data and information through active communication with range States through the implementation of MIKE and ETIS. e)	provide a report to the CITES Secretariat for transmission to the Standing Committee and Parties to CITES. The main benefit will therefore include a much-increased knowledge of elephant numbers and movements and a better understanding of the threats to their survival, as well as an increased general knowledge of other species and their habitats. b)	Observation reports and data about threatened and endangered species are regularly available in all elephant range States. MIKE is a site-based system to monitor elephant population trends and the illegal killing of elephants. MIKE is a system based on data collection and analysis that will be standardized for all range States, including the time-frame for the delivery of such information. MIKE is about capacity building, particularly at the national level, for more effective conservation management. MIKE is designed to use state-of-the-art monitoring techniques and data management. MIKE is not in itself an anti-poaching operation to stop the illegal killing of elephants, though the information MIKE produces may guide such effort. MIKE is not a monitoring system advocating a particular model or system. In future, statistical analysis combined with some 'assumption-based' modelling may have to be used to select sites. This will require the collection of geographical, environmental and socio-economic data (covariate information) that will allow spatial as well as statistical analyses. However this is not the limit of MIKE sites. Indeed, resources permitting, many range States will be and are striving to extend MIKE processes to other significant sites, particularly as identifying national and sub-regional trends and patterns will also be an important MIKE objective. Therefore it is important to understand that MIKE is here to assist analysis at site, national, sub-regional and continental levels, even though the analysis of trends and patterns at the national level may not be easily accommodated until more sites are included. c)	the mortality levels relative to the law enforcement patrol effort expended. The data required per site, the collection activities and the expected outputs are illustrated in Figure 1. The information collected will be entered in a computer-based data management system that will facilitate the analysis of the data provided from the above outputs. It will be very important to have a standardized data reporting system in place, since this will greatly affect what can and will be done with the analysis of the data. Of particular importance will be the capability to commence the analysis at site level and then to develop the analysis further at national, sub-regional and continental levels, whilst maintaining a standardized approach. c)	spatial and temporal patterns in factors that influence elephant populations and illegal killing. This approach will be facilitated by providing a data analysis programme using Microsoft Access in conjunction with ESRI Arcview 8.x and appropriate statistical software such as GENSTAT. a)	The database has an identical structure (tables and relationships) at the site level and at higher levels. c)	The database has a user-friendly interface for data input mimicking field data forms. d)	The database generates summary reports, summary statistics and specific analysis of LEM data at the site level. It provides information and analytical output that are useful to site managers. It informs them about illegal activities in different sectors in their area and trends in these activities over time. This should enable them to support management decisions and make optimum allocation of effort to protect and manage elephants and other wildlife species. Site level analysis and direct feedback is important to keep staff motivated, to collect good data and maintain the quality of data management and reporting. e)	Whilst both raw data and summary reports move up from the site to higher levels, feedback mechanisms ensure that results of analysis and data input performed at higher levels also flows back to sites. f)	A proper data transfer and backup system will be developed. A Microsoft Access database is therefore being developed which will facilitate data entry, management and retrieval. It will be linked to Arcview 8.x to facilitate the analysis required. This will be available to the Site Officers in a computer system that is being provided at each site together with appropriate training. A similar arrangement will be available for the National Officers, Sub-regional Support Officers and the CCU. Finally this information will then be linked to that provided by the Elephant Trade Information System (ETIS) monitoring programme, so that as complete a picture as possible can be provided. f) It is a catalyst for harmonizing different monitoring systems initiated by different donors because MIKE was mandated by the range States themselves, including the appointment of national and site officers. As mandated at CoP11, the implementation of MIKE is the responsibility of the Standing Committee, who has in turn set up a Sub- committee, known as the MIKE-ETIS Subgroup, to carry out that responsibility. The CITES Secretariat is charged with hiring appropriate experts to provide technical support, with the advice of the MIKE-ETIS Technical Advisory Group in order to collect, compile and report on the necessary data. This it has done by establishing a MIKE Central Coordinating Unit (MIKE CCU) which is located in Nairobi, Kenya. The African region is divided into four sub-regions (west, central, southern and east) and the Asian region into two. Each of these sub-regions has its MIKE implementation supervised by a Steering Committee (usually consisting of the national wildlife directors) and facilitated by a sub-regional support officer. Each range State has a national officer and site officers as the core staff for implementing MIKE in their respective territories. In addition, there is a MIKE-ETIS Technical Advisory Group (TAG). This group comprises one expert from each sub-region and, to date, four nominated specialists. The principal role of the TAG is to guide the technical quality of MIKE processes and techniques. The TAG also acts as a peer review group and any challenge on the results of the analyses may be referred to them. An illustration of this structure is provided in Figure 2.